I do not think this feature is available anymore under Visio 2007. Well, I think it depends on which version of Visio 2007. 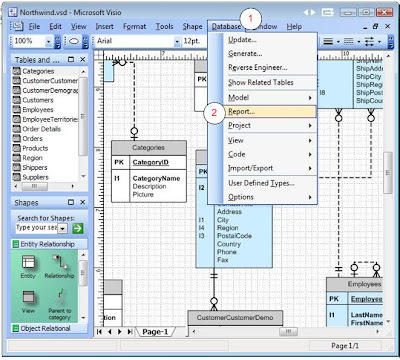 The forward engineering and other features only come with the Team System version of Visio. I would have to imagine they still have some kind of reporting, but I haven't evaluated the full version of Visio 2007. 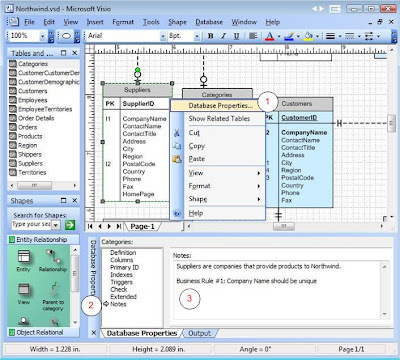 I have a question to the tutorial "Data Modeling in MS Visio". I did reverse engineer an existing huge database. Now I would like to modularize the entities, for example by manually adding a table to the page, selecting it and using menu item "Show related tables". Okay this works so far.. but.. the related tables are all added at one spot on the page one upon the other. Is it possible to adjust them automatically the best way?? And one more question: You seem to have also some modularized entities at your page, summarized by the background color. How are you doing this?? 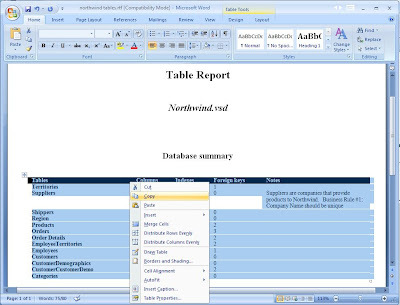 Do you think it's possible to do the reverse.....create visio ERD from Excel table definition? 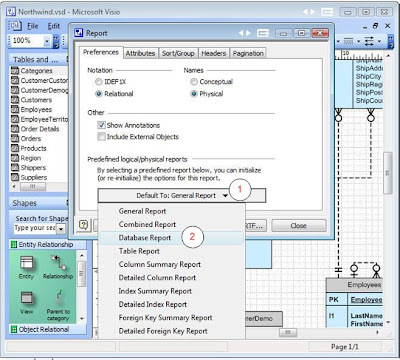 what version of visio is used for showing the whole process. 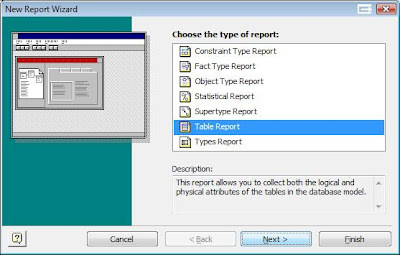 i am currently using visio 2007 and under the database menu i cant find the report option. 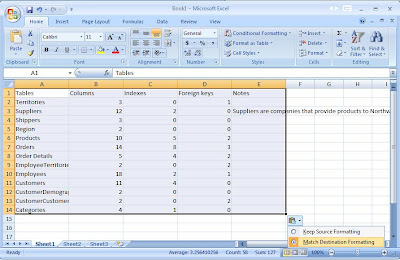 Anonymous: I seriously doubt you could import Excel data into Visio. Hi - I have microsoft visio 2007 - reverse engineered just fine but I can't find any functionality to export to excel for table/ column names, etc. I don't seem to have the report feature - any ideas ? Anonymous: Make sure you have the Visio verison for Enterprise Architects. I'm willing to bet you can't forward engineer either. Nicole Stabe: When you import there should have been a checkbox to automatically organize the tables. It doesn't work all that well though so ultimately you'll have to organize it manually anyway. I did the background colors manually like any object in Visio. 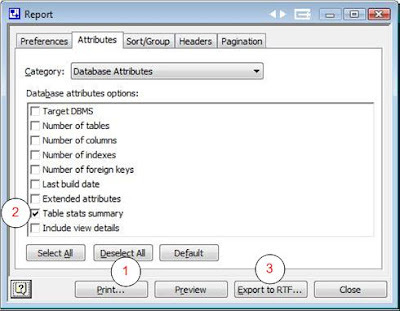 Thansk Alexei, you saved me retyping LOTS of database column names with your suggestion for Visio 2007 Professional. Ugly but retyping would have been uglier. I have Reports under Data, but it still isn't the same as shown above. And I've run out of other ideas to get my table/column data.